Goodreads: When the fishing boat Pirio is on is rammed by a freighter, she finds herself abandoned in the North Atlantic. Somehow, she survives nearly four hours in the water before being rescued by the Coast Guard. But the boat’s owner and her professional fisherman friend, Ned, is not so lucky. Kritters Thoughts: Pirio has had a checkered past (read Elisabeth Elo's novella - A Taste of Power to read about Pirio's days in institution for troubled youth), but she is trying to reform her ways with the help of one of her friends from that school. She ends up on a boating trip that goes awry and the book starts at that moment. Pirio must investigate the boating incident and what seems like an easy investigation gets bigger and bigger with each clue. I love inquisitive books that take you on a thrill of a journey, but this one kept getting bigger and bigger and almost got too big or so I think. I loved the dynamic between Pirio and Russell Parnell for me that became my favorite part to read; I was waiting for their moments together. The other thing that set this book apart for me and made me really get hooked was the boating aspect. 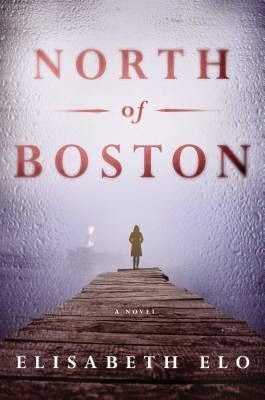 I don't read a ton of books that have a lot of boating involved, but I loved having this book set in Massachusetts in a boating community it felt so real. I really appreciated how Elisabeth Elo described everything about the boating life and the area - I could completely picture it in my head and I love that! Although I thought the scenario got a little too big, I will definitely be putting this author on my radar and hoping for the next one.